An entrepreneur will make sacrifices so that he/she can live a life like others will only dream of living. You can still enjoy some of the fine things in life. Freelance as a mystery shopper in your area. Many Fortune & Global 500 companies rely on the feedback from quality certified Mystery Shoppers to help improve their level of customer service. Mystery shoppers get an opportunity to enjoy being a customer at restaurants, retail stores, grocery stores, dealerships and financial institutions or a guest at a casino, hotel or resort. Mystery Shoppers are responsible for meeting deadlines, following detailed instructions and writing fact-based reports to provide our clients with actionable data. If they do not meet the requirements any expenses will not be reimbursed. Good Mystery Shop companies will offer training and evaluations to make sure the shopper is ready for his or her assignment. There is no formal certification to be a Mystery Shopper. A Mystery Shopper must be 21 years of age or older; must have reliable transportation; must have good written communication skills; must be able to focus on details and must have full internet access. It is best not to use a computer located in public facilities (i.e. libraries, computer labs) due to security settings in place to protect the identity of Mystery Shoppers. Another requirement is that you need to be able to upload photographs and receipts to a website. Companies that hire Mystery Shoppers provide training and certification for their shoppers. A representative is assigned to each state to help Mystery Shoppers. The representative will also be responsible for evaluating each report. If the report does not meet the specification of the client company the report will be rejected. Your representative from the company will provide training on how to complete each company’s evaluation. Each assignment is different. It all depends on what the client company would like to evaluate. There are impersonators that portray themselves as reputable Mystery Shop companies. 1. Cash or deposit a check as part of a mystery shopping assignment OR for any other service (such as child care, purchase of ANY product/service, etc.). 2. Transfer funds to an account as part of a mystery shopping assignment. 3. Respond to a letter via the mail telling you that you have been selected to participate in a paid consumer research program. 4. Meet with a representative in any area of the country to complete an assignment. 5. 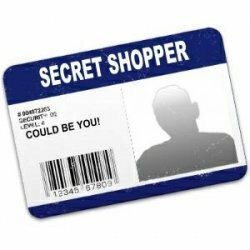 Pay for and complete on-site training to become a mystery shopper. Mystery Shopping is a new adventurous freelance opportunity for me. I never knew jobs like this existed. My first assignment was for National Shopping Service. I ordered and took pictures of pizzas for a local pizza shop. Just recently I discovered a website called Shadow Shoppers. This website put me in contact with many more mystery shopping companies. Recently, I have done assignments for coffee shops, dealerships, banks and shoe stores. I am creating a list of all the mystery shop companies along with their compensation plan. This will keep me organized. It helps to know when and how you will be reimbursed for your expenses. Many companies are looking to hire mystery shoppers. If you have any questions about a freelance opportunity please contact me. I am working on an article to publish more information about legitimate companies.